Why sprint to the local watering hole every Friday? 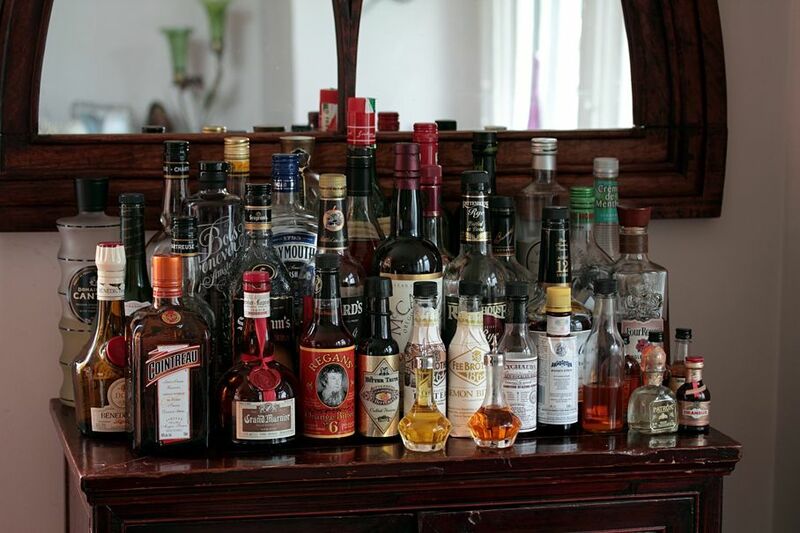 Learn how to make a home bar, how to stock the necessary supplies, and how to decorate it. 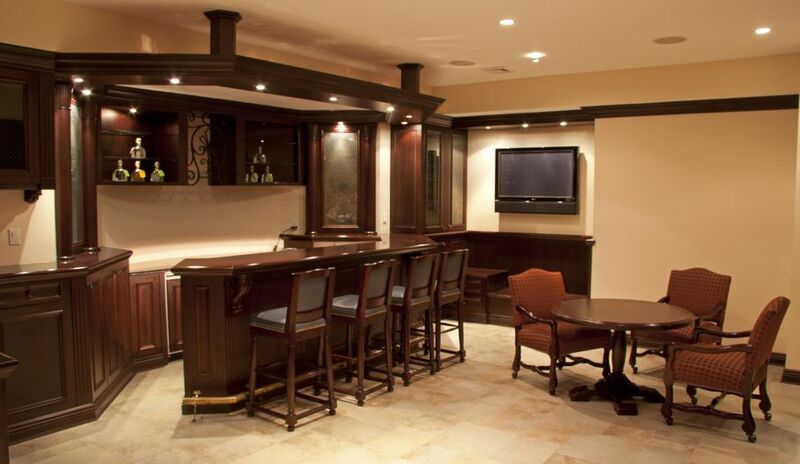 A home bar can be the missing element of your interior design and entertainment schedule. What's great about installing a home bar is that it’s an ideal place to entertain friends without leaving the comfort of your residence. 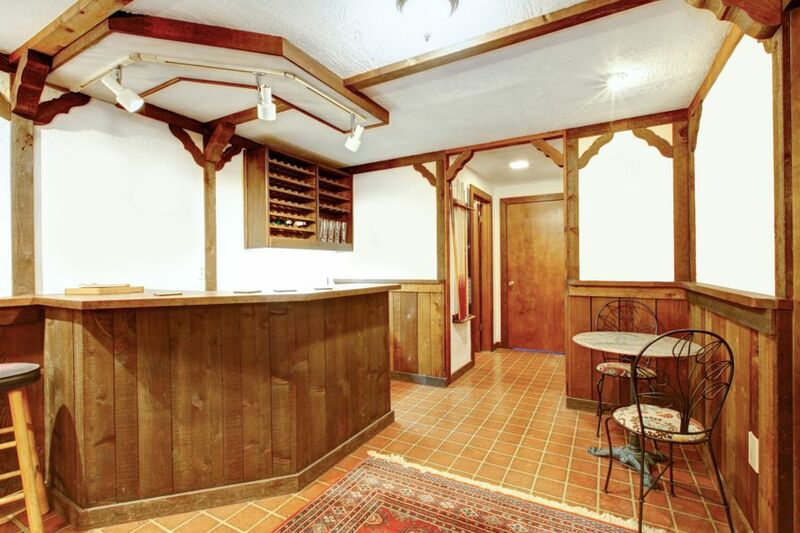 Furthermore, when you’re getting ready to put your house on the market, the value a bar adds to your home will thrill your real estate agent. 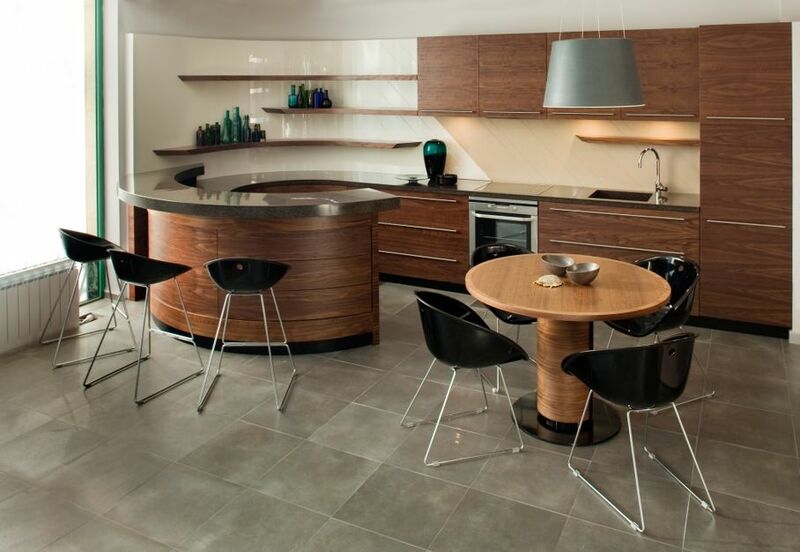 A home bar also adds a touch of stylish functionality to what could be an otherwise drab interior space. This house tip will help you learn how to design, stock, and decorate your own home bar. Sometimes you want to go where everybody knows your name. Other times, you want them to be glad they came to you. 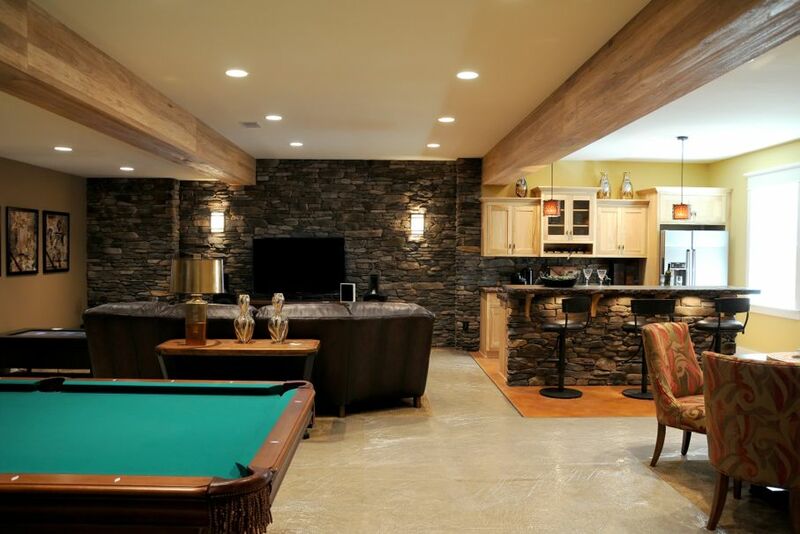 Your home bar will most likely be a part of your basement interior design, but it could also be a section of your living or dining room, if space permits. Find an empty corner, or an area of a wall that can fit a well-sized bar, seats, and some added décor. Choose a space that’s comfortable. It should have a proper heating/cooling system, and no open drafts. A wet bar will need plumbing. The area should be free of clutter and conducive to a bar setting. It shouldn’t be too bright, or face any outside noise. Before you belly up, finish any additional touching up the space may need, and customize the walls with your favorite color. Maroon or gray shading can add an intimate feel. The pre-decorating process is the perfect time to add any rugs and lighting fixtures. Whether you’re going for the feel of a tavern or a saloon, your home bar materials should be cohesive with your home’s interior. If you have a rustic-styled dwelling, opt for a weathered-wood finished bar with brown-leather stools. For a modern home, try a black marble bar with straight, clean, geometric edges with platinum-colored stools and drop lighting. Your home bar design and size will depend on how much space you have to work with, and how often you’ll make use of it. 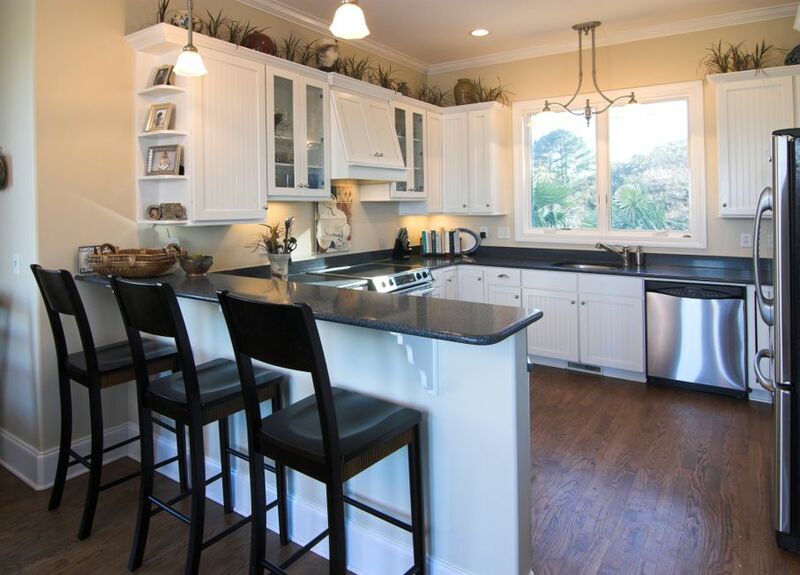 Of course, you have total freedom of the materials you’ll be using (wood, granite, marble, etc...), just be sure they don't clash with the rest of your home’s design. Bar tables come in many different designs, from vintage to modern to very simple. A small bar doesn’t take up too much space, and works well in a large living room setting. This is best for more intimate gatherings. If you throw bigger parties, or host a lot of people often, a bigger bar is possibly your best option. It might take up most of your basement room, but if serving cocktails is the sole purpose of the space, this won’t be a problem. 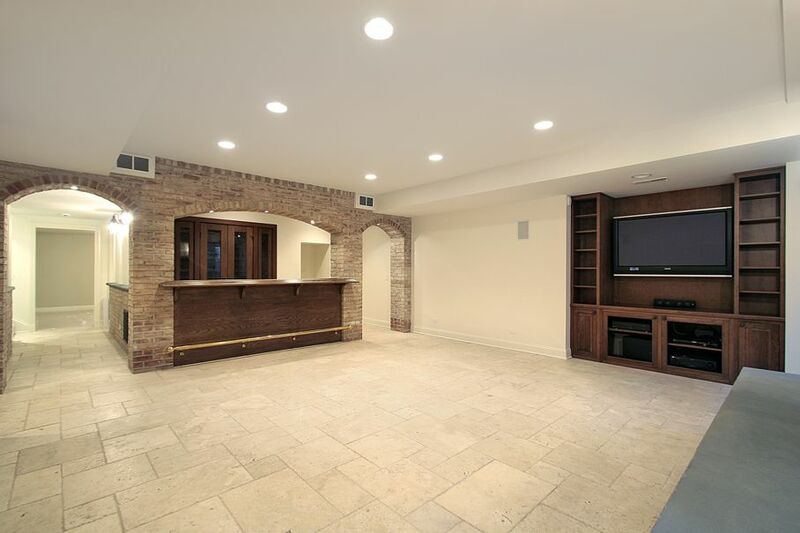 This kind of bar has room for more than seven people, and the inner space is perfect for the bartender to make drinks comfortably while having the option to sit and relax. If you’re looking to put up a personal watering hole that does its job and nothing more. It can stand against a wide hallway leading to a family room or before the stairway of a basement. If you’re going for a traditional bar for entertaining guests, you’ll need to buy stools/chairs that coordinate with your bar. If your bar has a wood finish, opt for wooden stools with upholstered seating. The foam padded seats substitute a fully-backed chair, which keeps it a comfortably fashionable option. It also works with many different bar colors and styles. 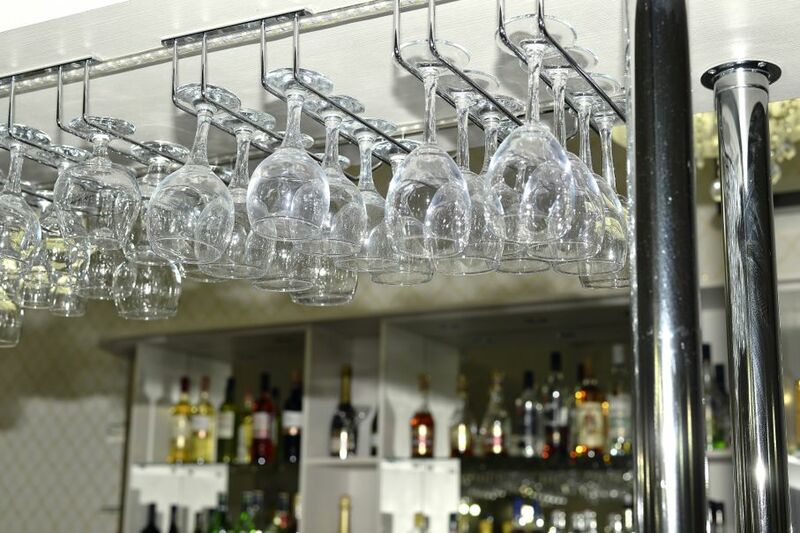 Your home bar’s decoration is what will make it an inviting, relaxing, and enjoyable place to be. Napkin holders, citrus squeezes, and pretzels can be put on the bar for both functional and design considerations. Replicate an actual bar feel by adding a lit-up beer sign on the wall next to the drinks. Recessed lighting, like the one pictured below can also be appropriate for your bar. Don’t limit your bar to the table and chairs. Your guests might lose their cool and want to sit in a comfy love seat. Place a comfy chair next to the bar to add an inviting touch to the design. A dart board, foosball table, or electric jukebox can elevate the space. If you’re a sports fan, an entertainment system will complete the room. Easily the most important part of a bar are the drinks! The drinks that stock up your bar are really a personal preference. 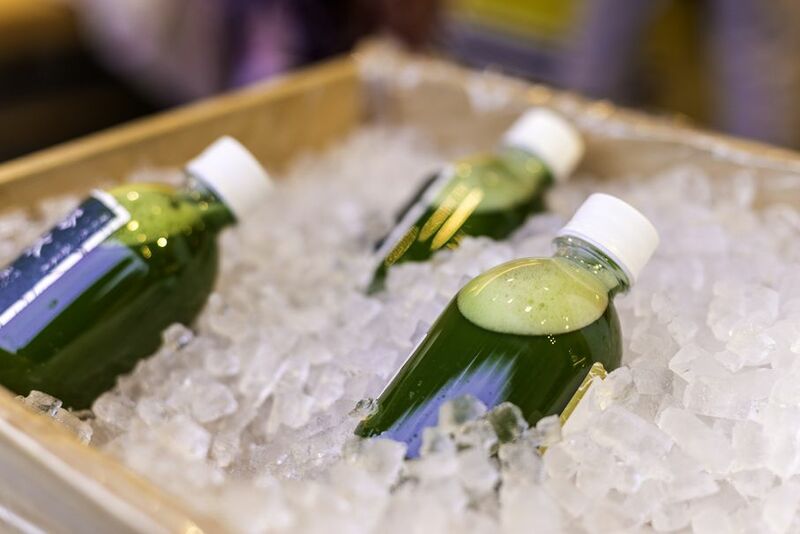 Make note of what drinks you enjoy the most, how many drinks can be concocted by one type of liquor, and of course, what your guests will enjoy. The biggest benefit of a home bar over a street bar is that you’ll always have your favorite drink on tap. Start small. Don’t overwhelm yourself with an ostentatious display of all the vodkas, gins, and rums you can boast. Instead, buy a few drinks at a time, wait for your guests, and mold your liquor selection to what they drink. The glass you use will actually enhance the taste of the drink. Purchase beer mugs, martini glasses, and cocktail glasses to give that real bar feel, and make each drink even more palatable.